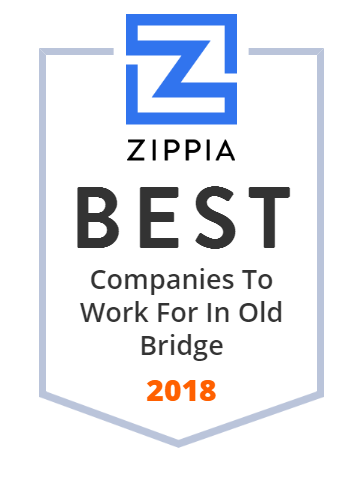 We hand-curated a list of the best companies to work for headquartered in and around Old Bridge, NJ using data on salaries, company financial health, and employee diversity. Old Bridge Chemicals, along with sister companies Madison Industries and Madison Chemicals, were established in 1962. Together, they are the largest manufacturer of copper and zinc compounds in the North America. Serving a variety of chemical-related industries, they strategically focus their expertise on a select number of products. Middlesex County is a county located in central New Jersey, United States. Blonder Tongue Laboratories Inc. (AMEX: BDR) is a global communication equipment supplier for TV broadcasters, cable system operator, lodging video, Internet system and institutional systems,etc. As a cable television pioneer founded in 1950, the company has served its customers for over 60 years. Amboy Bank, a full service commercial bank headquartered in the Township of Old Bridge, was established in 1888. Based on over 130 years of strength and service, they have earned a reputation as a well-respected financial institution in central New Jersey. Amboy Bank has 22 offices in Middlesex and Monmouth counties.